All spruced up and ready for you to move right in! Youll love this charming, updated 3BR home situated on a corner lot in Cricket Lake Village. Freshly painted interior with new flooring throughout. Property is currently in the process of getting a new roof. Flooring has attractive wood-grain look, is waterproof and has a 30 year warranty! Kitchen is bright and cheery and has been given new sparkle with refurbished cabinetry and new lighting. Plenty of space to eat in. All appliances included! Spacious living room w/vaulted ceiling, fireplace and direct access to the lanai. Split bedroom plan with master suite off living room ideal for privacy. Master bedroom has an ensuite bath with WOW factor beautiful new vanity and hardware. Youll also be impressed with the spacious walk-in closet. One reason youll love this home is all that you have out back. First, theres a traditional screened lanai (w/vinyl windows). Then theres an open paver patio with fire pit. And then theres a HUGE parking pad bring your boat or RV! Youll also appreciate the utility shed for additional storage needs. 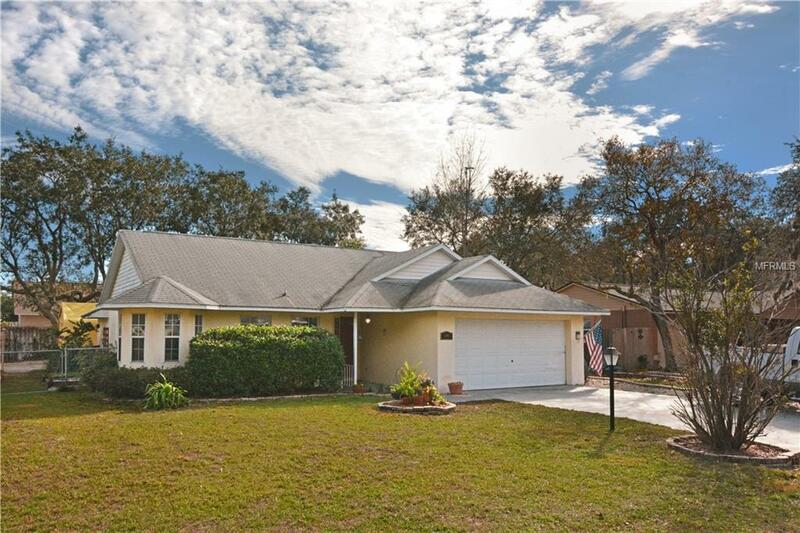 Great location NO HOA, and a short drive to essential shopping and historic downtown Mount Dora. Youll love living here. Come see all that his special home has to offer.